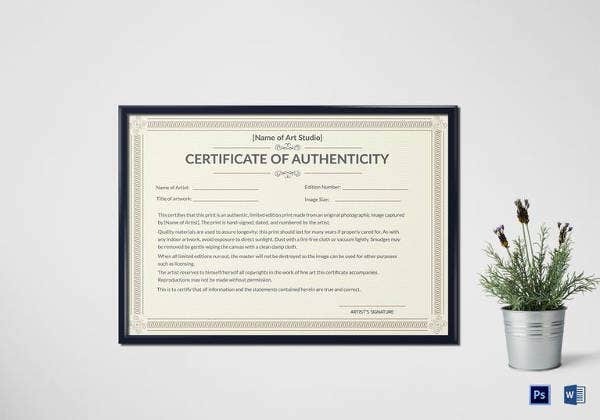 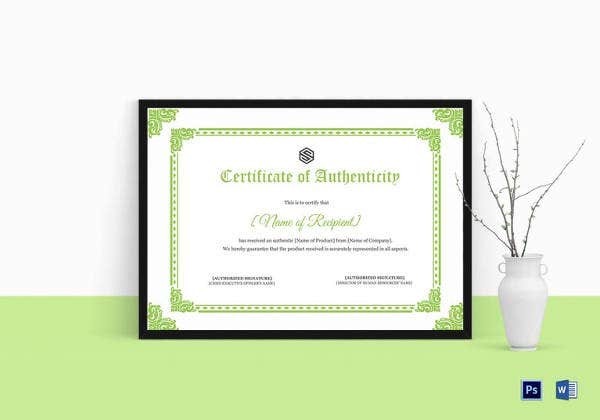 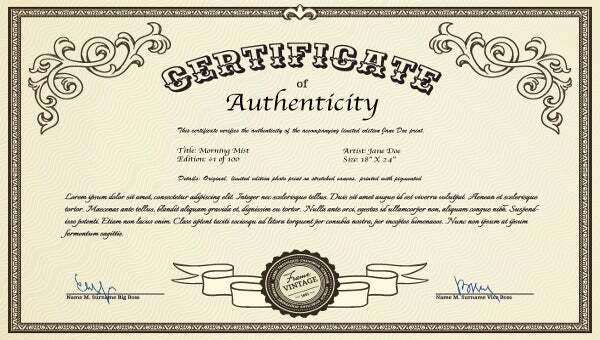 Artists generally use certificates of authenticity for their work, so that they can prove its authenticity and establish their rights over the work as its creator and you can alsoThe major use of these certificates is for artists to have a record of the work as their own. 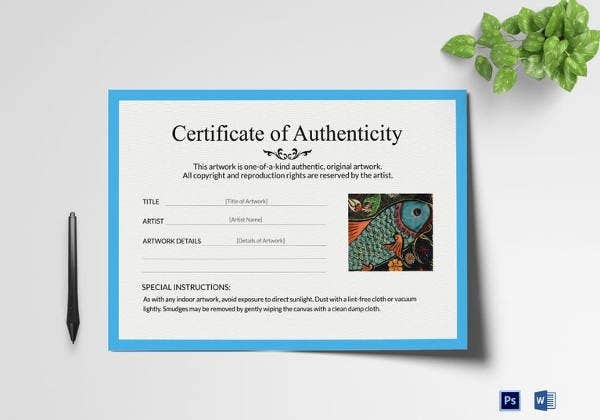 It can also be used by exhibitions, sellers and other institutions that display the artwork to prove the authenticity of the work on display.Additional details about the creation of the work and its attributes, such as title, artist’s name, dimensions, time and date of creation, can be added to the certificate to make it more complete, both for the artist’s own records as well as for display and showcasing purposes. 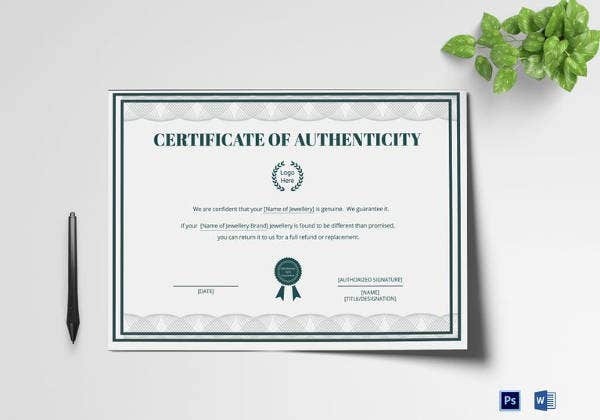 You can also visit Free Certificate Template. 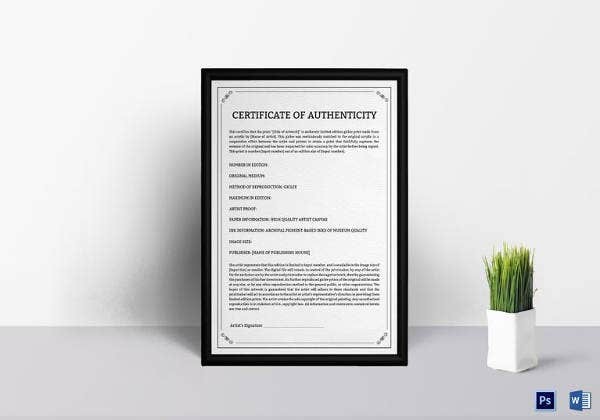 Trustworthy templates should have a mode of verification for the certificates, because these certificates are often or copied. 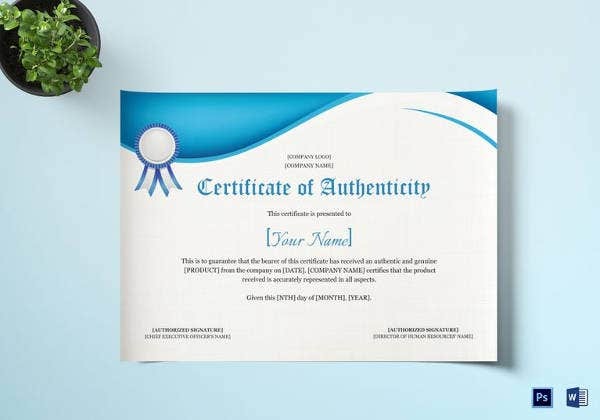 Therefore, Certificate Template for these certificates should lay emphasis on the user providing a lot of factual information that can be verified.Several websites offer free and easily downloadable Word,PDF templates for the creation of these certificates of authenticity, and these can be used by small or self-financed artists to authenticate their work. 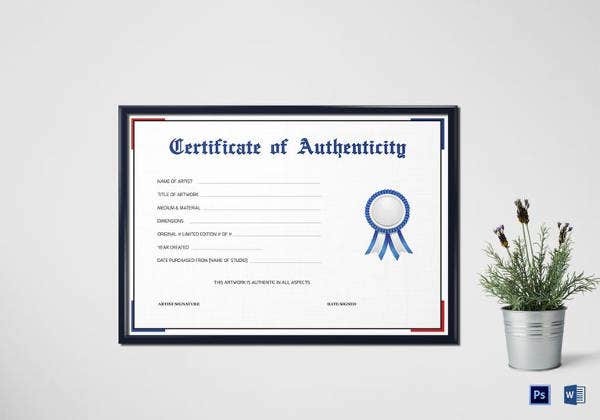 So, if you are thinking about presenting any certificate of authentication to anyone then it would be your right choices. 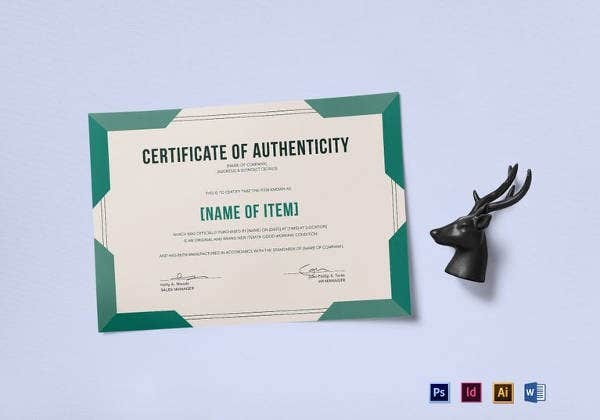 There are plenty of templates that are designed for meeting various needs. 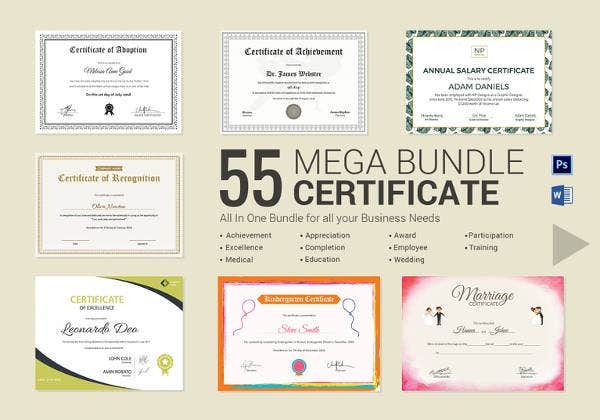 Confident enough that, any one of this can serve your requirement also.